Maracay’s Victory at Verrado community is down to its final remaining designer homes. The Freedom Collection features floor plans specifically designed for active adult living that are available exclusively at this neighborhood. Our award winning, single-level Flex Design® floor plans incorporate specific features – known as Universal Design – that add convenience and ease to living. Look for step-free entries, wide doorways and hallways, strategically placed controls and switches and functional furnishings that allow homeowners to stay in the home they love as they settle into their Golden Years. Floor plans were developed in partnership with KTGY, a national architectural firm known for designing for the active adult buyer. Each home is Energy Star® certified and built with Maracay’s LivingSmart® program for high performance and cost effectiveness. 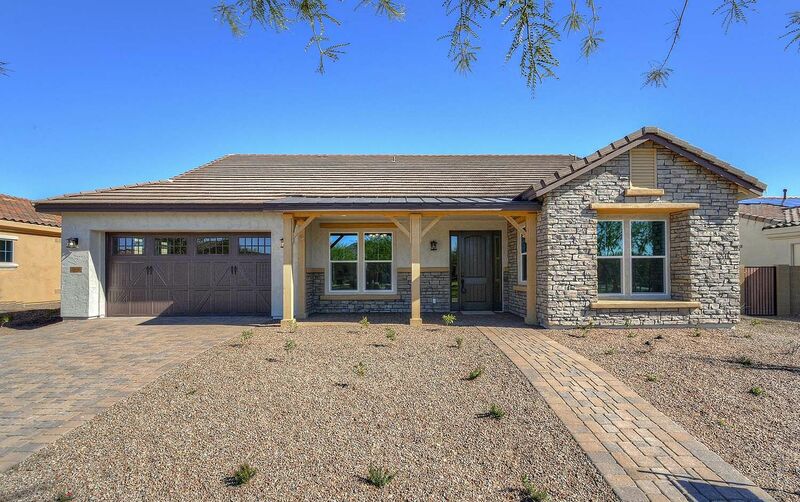 Victory at Verrado’s location, just 25 miles from Downtown Phoenix, enables residents to enjoy the beautiful Sonoran Desert setting without sacrificing big-city conveniences. Easy access from Interstate 10 links the community to employment centers, shopping, dining and entertainment. Don’t miss out on this opportunity to live in a Maracay home at Victory at Verrado. View all move-in ready homes.